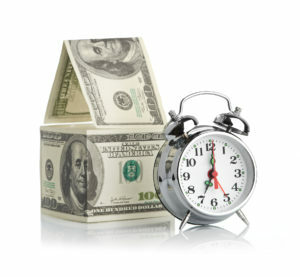 Time on market impacts buyer thinking which impacts the sale price. I was recently reading Michael Lewis’ book, “The Undoing Project” which is about two Israeli psychologists who developed several innovative decision making theories. Some suggested that perhaps we are not as rational as we think we are. In chapter 9 there is a long discussion on the theory of regret. They discovered that people did not seek to maximize utility but minimize regret. The closer you came to achieving something and the more control you had over the outcome, the greater the regret if you failed. They found that the desire to avoid loss often exceeded the desire to secure gain. As I thought about it, I realized that fear of loss plays out in real estate every day. How buyers react to a listing price at various points in the marketing cycle is a great case study of this theory. When the home is new to the market, it gets one reaction and when it lingers on the market it generates a different buyer emotion but one that is still attached to regret. Let’s change the word regret to “fear” and it will be easier to explain. Right now we continue to be in a market where inventory is declining. As I write this, we have had over 2 years of month over month declines in inventory in Northern Virginia. This has created a scramble for properties and frequent multiple offer scenarios. When a buyer looks at a home just coming on the market, they realize they must act quickly if they want the home. At the same time, they are thinking if they like the home so must many other buyers and thus they need to make a strong offer. Perhaps they have lost out in other multiple offer situations. So they go in at full price or better. When their agent tells them that, yes, there are other offers on the the table, they feel validation that they are pursing a great deal but at the same time fear that they may lose it. They may be inclined to go even higher. If they win, fantastic. If they lose, their reaction is based on how they lose. If they are told someone bid $10,000 higher, they may feel that they did the best they could. They think if a buyer is that crazy, let them have it. But if they gave it their “best offer” and found out they lost by $1000 or $2000 or because of some minor negotiable term, they have regret. Then on the next new property that hits the market, they become even more aggressive. The greater the potential to win, the greater the regret at losing – even if that is not logical. In the book, the authors give an example related to raffles. Say you bought a raffle ticket with the numbers 12345. And the winning ticket was 97586, you would think, “The odds of these things are so long, I was never going to win.” But if the winning ticket was 12346, your reaction is completely different – “I was so close!! !” In reality, a loss is a loss. Your odds were the same regardless of the winning ticket numbers. But in the second situation, there was the appearance of control and the loss resonated differently. Buyers intuitively know how many days on market is normal. They know if most homes sell in days, weeks or months. Whatever that number is, when a home is on the market longer than normal, buyers start to wonder why. As I write this in early October 2018, the median days on market for home sold in August in Northern Virginia was 14 days. That means half the homes on the market sold in less than 2 weeks and the rest took more. This is a more important number than the average days on market which was 29 days. When buyers see that half the homes are selling in 2 weeks, it gives the appearance of a market moving quite fast. In this market, when buyers see a home has been on the market for 30 days or more, they start to wonder why it is sitting. Even if they like it, they are hesitant to make an offer. They worry that there is something “wrong” with the property. There wonder about condition. Does it have structural flaws that everyone else saw and they are missing? Does everyone know this home floods frequently? There must be systems needing replacement – roof, HVAC, – and it will be a money pit. Is there going to be a landfill put in the woods behind the home? All of these things run through the mind of the buyer and they conclude the price must be too high for the condition. The truth is that it may not be the current price, that is too high but the starting price and the overall pricing that is the culprit. Then the seller does lower the price to market price but the home has lingered. The truth is that even if buyers think they will come back to a home, they rarely do. My experience is that once a buyer has put a home in the reject pile in their mind, it almost never shifts back into the “consider” basket. Seen it, been there, done that. On to something better. So who looks at the reduced home that is actually a reasonable buy? Buyers just coming into the market. They see the home and fall in love but are very fearful of making a mistake. Why has nobody else bought this perfect home? They think all of the things mentioned above but see no evidence of disrepair so they plunge forward assuming it must be price and offer below asking to give themselves a margin of safety. Assuming the contract gets accepted, the seller has now sold for less than they would have if they priced correctly on day 1. Nonetheless, the sellers breath a sign of relief that their home is finally sold. But wait… it is not over yet. The buyer reaction is first one of joy that they have a home but that joy quickly turns into fear, worry and doubt. “Wait” they say. “Did we just buy a dog that no one else wanted? Are we fools? We had better make sure we have a very, very thorough home inspection. There is probably something wrong with the home.” This seed of doubt, this drive to avoid loss, will stay with the buyers throughout the transaction and make them jumpy at every turn. Had the home been priced right from the beginning, the seller would have sold sooner, sold for more and had an overall smoother transaction. Price right. Be honest about the condition of the home. If it is a model home, super. Price at the top of the market. But if is not, price to condition. Okay, if your Realtor says $570,000 and you say let’s do $575,000, it is probably not a death blow but you can’t start at $600,000. If your days on market are approaching the median days on market and you do not have interest, reduce immediately. If you are still on the market it means you have not priced to condition or you have a location issue (a lot that backs to something undesirable, something happening in the neighborhood, etc) that indicates the price is too high. Realize that if you wait on the price reduction and your days on market linger, buyers will feel that in order to protect themselves, they need to make aggressive offers. Recognize your emotions are normal and work to keep them in check. When it comes time to write an offer, put your right brain in park and pull on the left side as much as possible. When fighting over a property new on the market, set your limits and do not go beyond. For instance, I have seen many buyers win in a multiple contract situation because they waived the home inspection. I never advise a buyer to do that. Unless there is something extremely unique about the home, it is best to stay within your comfort zone and not make a crazy offer which you will regret later. There will be another home. If you see a home that has been on the market for longer than normal, do not be afraid to take a shot. Look at the pricing history and you will probably see they started higher. There is no way for a seller to catch up once they start high. Chances are the new price is fair. Make a lower offer. See what happens but if the price doesn’t get to where you want it to be, don’t think you are making a mistake. If your Realtor has done a CMA and it supports the asking price, move forward. And remember, you will have an appraisal. If that comes in low, there will be an opportunity to adjust the sale price. Buyer and seller psychology is fascinating to me. After 25+ years in this business, I have seen the full range of human emotions expressed in real estate transactions. I’ve been hugged by those I thought were emotionless and yelled at by those with the quietest, most gentle demeanor. Buying or selling a home can be very stressful. Part of my job is to recognize those emotions and help my clients work through the highs and lows so that in the end they make the right decision.